A tattoo is a true poetic creation and is always more than meets the eye. As a tattoo is grounded on living skin, so its essence emotes a poignancy unique to the mortal human condition. 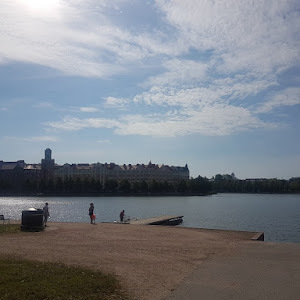 After a rainy week, almost an autumnal week, we yet again experienced sunny weather yesterday when I had the great chance to visit the Sea Fortress Island Suomenlinna on a walking tour. What a great ending to my first week back at work after my summer holiday! 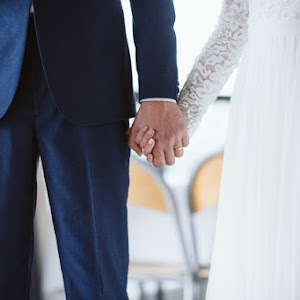 It hasn't quite been the week I thought it would be; my boyfriend injured himself last weekend during an ice hockey game and ended up in an ankle operation, and will now stay home on sick leave for seven weeks. Things like this, as they always come unexpected, drastically changes one's everyday life. Only now, we've started to get used to the idea that he walks with crutches and kind of know what he can and cannot do. Still with six weeks to go, I'm sure we'll get the hang of it. Some of you readers have asked about my tattoos since I've mentioned many times how I admire tattoos in general. It's funny, I've always loved tattoos, but since people have all kind of mental images of people with tattoos, people tend to be surprised when they hear that I have two tattoos already. I'm also planning a third. Some time ago I found a very cool article named A secret history of women and tattoo in the New Yorker, and I wanted to share this article with you readers to maybe broaden your mind on who tattoo bearers are. 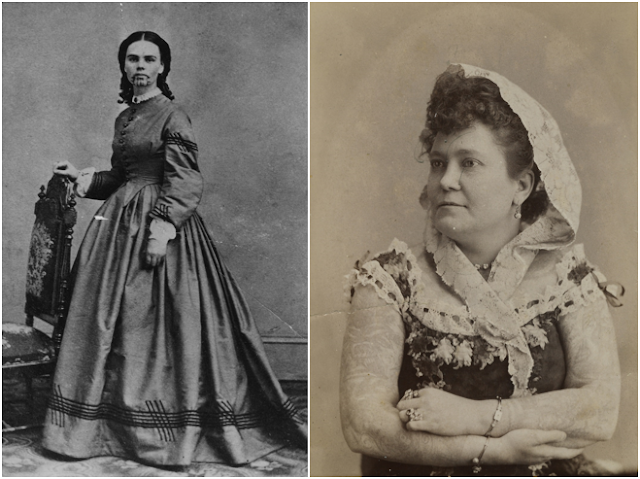 The first image here is of the first tattooed white woman in the US in 1858! Her amazing story tells that after her family was killed by Yavapais Indians, she was adopted and raised by Mohave Indians, who gave her a traditional tribal tattoo. When she was ransomed back, at age nineteen, she became a celebrity! Imagine, back then, merely having a tattoo made you a celebrity! The second photo showcases the first American tattooed circus attraction, in the late eighteen-eighties. As third, we find the first known female tattooist in the U.S., 1911. 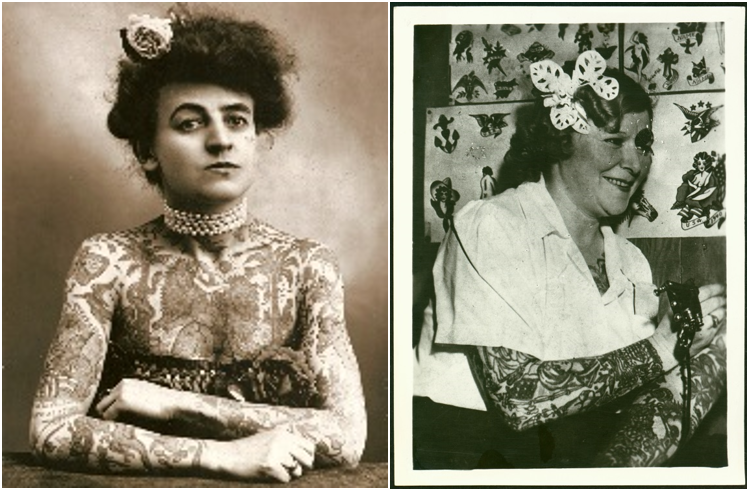 In 1907, she traded a date with her husband-to-be for tattoo lessons. Their daughter, Lotteva Wagner, was also a tattooist. Also the fourth photo is of one of the first women to learn tattooing without the help of a boyfriend or husband, she worked on the Bowery for two decades and tattooed many women, including debutantes and sorority sisters. According to the article, they often requested hearts containing lovers’ names, and “Mother” tattoos. 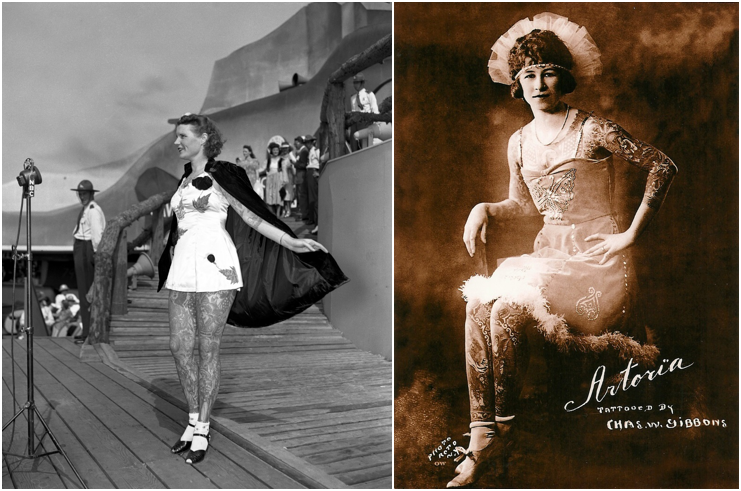 Last but not least, the article presents two circus attractions: one of the best-known and most photographed American circus attractions, Betty Broadbent that made history by appearing in the first televised beauty contest—fully tattooed—at the 1937 World’s Fair and Anna Mae Burlington Gibbons, who was a working-class woman who was tattooed during economic hard times. She and her husband, the tattooist Charles Gibbons, traveled and worked as a team, starting in the nineteen-twenties. She wore part of Botticelli’s “Annunciation,” a piece of Michelangelo’s “Holy Family,” and on her chest, a portrait of George Washington. However, the New Yorker's article goes on and tells that nowadays the tattoo culture is thriving in New York, especially among women. In fact, 2012 was the first year in which more women than men were tattooed in the U.S (twenty-three per cent of women, compared with nineteen per cent of men)! The article presents Margot Mifflin’s 1997 book named “Bodies of Subversion: A Secret History of Women and Tattoo”, which examines this trend. She goes on saying that though tattoos are an increasingly common, and visible, element of personal style these days, some of the more hidden and historic examples—from Victorian women to circus attractions—are the most surprising. I think every tattoo bearer has his/her own story to tell, a personal reason for taking tattoos. I've always found them to be a natural way of decorating one's body. According to Smithsonian, an in-depth magazine on history, science, nature, arts, travel, world culture, technology, and humans have marked their bodies with tattoos for thousands of years. 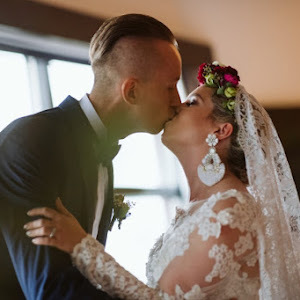 These permanent designs—sometimes plain, sometimes elaborate, always personal—have served as amulets, status symbols, declarations of love, signs of religious beliefs, adornments and even forms of punishment. The earliest evidence of tattoos are described on the website: "in terms of tattoos on actual bodies, the first were for a long time Egyptian and were present on several female mummies dated to c. 2000 B.C. But following the more recent discovery of the Iceman from the area of the Italian-Austrian border in 1991 and his tattoo patterns, this date has been pushed back a further thousand years when he was carbon-dated at around 5,200 years old." Everybody who knows me well knows that I've always been fascinated by ancient Egypt and pharaohs. So the fact that even they used tattoos as adornments, has always made me want some. As I mentioned, in the beginning of this blog post, I currently have two tattoos. I chose to show these tattoos when wearing a casual outfit with a dark blue tank top from H&M and a pair of jeans shorts with suspenders from Only that I managed to buy at a flea market. The jeans shorts are some of my most comfortable clothing, I absolutely love them! Do you own a pair? 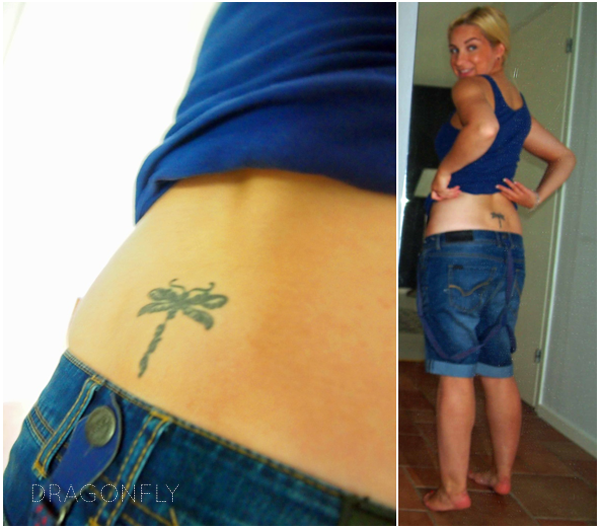 My first tattoo that I took back in 2006 has naturally the form of a dragonfly, hence the name of my blog. After taking the tattoo, this insect became my symbol, my version of a power animal. Power animals, for those of you readers who don't know, are spirit guides that help or protect individuals. In the shamanic worldview, everything is alive, bearing an inherent virtue, power, and wisdom. In this context power animals represent a person's connection to all life, their qualities of character, and their power. I took my second tattoo in 2011. This tattoo has the form of a sun. This tattoo is a true declaration of love since my boyfriend has a similar tattoo on his arm. The sun is such a perfect symbol for him seeing as he is my sunshine and it's thanks to his rays of light that I grow each day and live in happiness. Both of my current tattoos are in black color and I don't feel like I want a colored tattoo right now. I simply prefer the black ones. Like I mentioned, I'm now planning my third tattoo that I would like to take this fall. The third one will be a memorial tattoo, honoring my father who passed away about half a year ago. Since my dad was a huge bird lover, the third tattoo will have the form of a bird. I have been considerating a crane. According to Tattoora, throughout the Far East, the crane is considered an auspicious bird and is known variously as the bird of happiness, the heavenly crane, and bird of peace. In Japan, after the Second World War, origami (folded paper) cranes became a symbol of peace and hope. 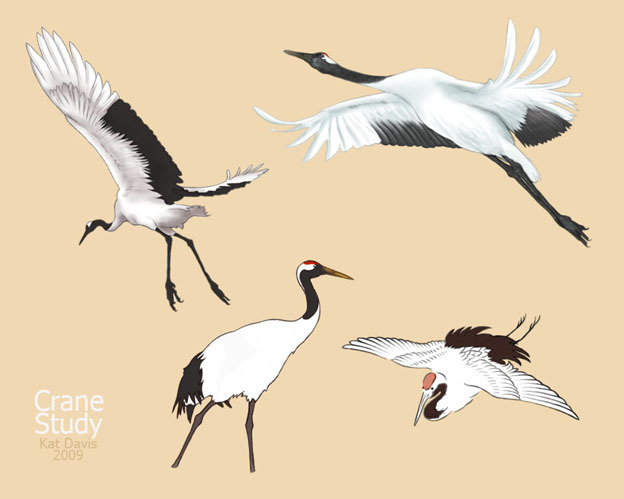 As a tattoo motif, the crane can be a symbol of grace, wisdom, peace, and love of life. Although occasionally confused with Storks and Herons, Cranes are a unique family of birds all their own. The crane was the bird of Apollo, the sun god, and its dance was the dance of joy and the celebration of life. Of all the birds, the crane is the only one that flies non-stop between destinations. Said to be the oldest bird on the earth, the crane has captured the human imagination with its beauty, longevity, and intelligence. Legends and myths have grown up around this elegant bird in all five continents where it dwells. Inspiring tales tell that cranes protect the vulnerable with its embrace and carries people to higher spiritual grounds. Naturally I'll keep you updated on how my new tattoo project proceeds. How do you feel about tattoos? Was it surprising for you to hear that they have such a long history? I don't have any tattoos, can't think of anything I would want for one. Oh, I've always wanted one! wooooow! such an amazing post! i like tattoos too but i am still not that brave to get one. cant wait to see ur next one! hehe, of course I was not surprised since I know quite a lot about tattoos (I've been pretty much obsessed since the age of 16 or 17 but got the first one when I became 19). anyway, I still really enjoyed reading the post and especially reading about your personal tattoos and those little stories behind your tats. btw, yeah, I have a tiger tattoo on my right arm because I'm a tiger, just like I wrote in my last post ;) oh and I'm so sorry to hear about your boyfriend's accident :( I sure know how it feels when your other half has serious health issues so I definitely feel you and wish you two all the best and quick recovery. 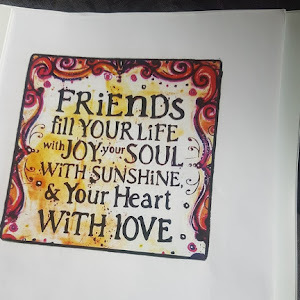 Thank you for your lovely comment Maiken, I'm happy you enjoyed this blog post. Oh, I didn't know that you'd experienced something similar to my boyfriend's accident. Sorry to hear that, but thank you for your support. Hi dear, so sorry to hear about your boyfriend's injury, wishing him well in his recovery. I had no idea how far back in history tattoos made an appearance, it was so interesting to read. 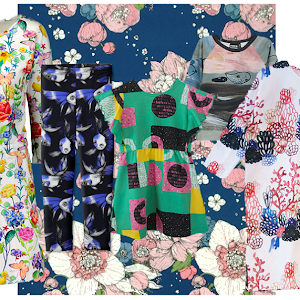 Although I wouldn't get one, I think simplistic designs looks really great on ladies. Your dragonfly is so cute, love it! the sun as well. I think the bird idea is a great one to honour your dad :) Thanks for your fashion input, I hope you have a great & productive week ahead. Thank you Sam for your support! 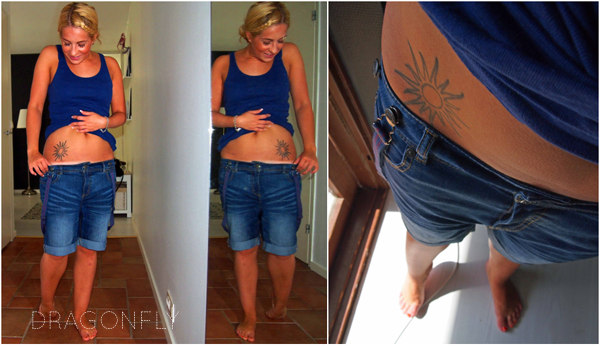 I'm happy you enjoyed this blog post :) Thanks for the compliments concerning my tattoos.